Police have sounded a stern warning to members of the general public about setting fire to areas that are near important infrastructure facilities. 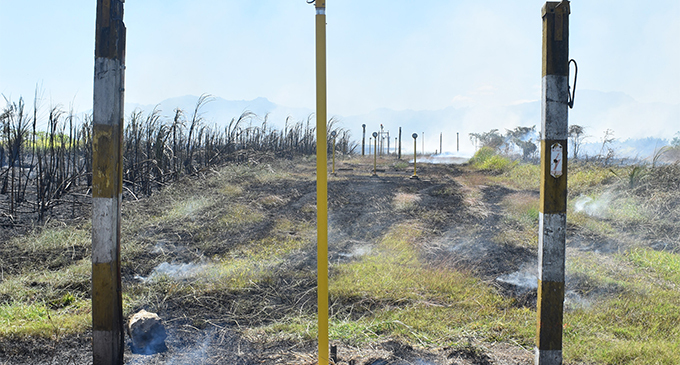 This is after some unknown individuals allegedly set fire to a sugar cane field near Fiji Airports facilities at Nadi. This was in the area near where approach lights for Nadi International Airport’s main runway are located. Fiji Airports is expected to comment today. Despite the incident there was no disruption. Flights schedules remained normal. 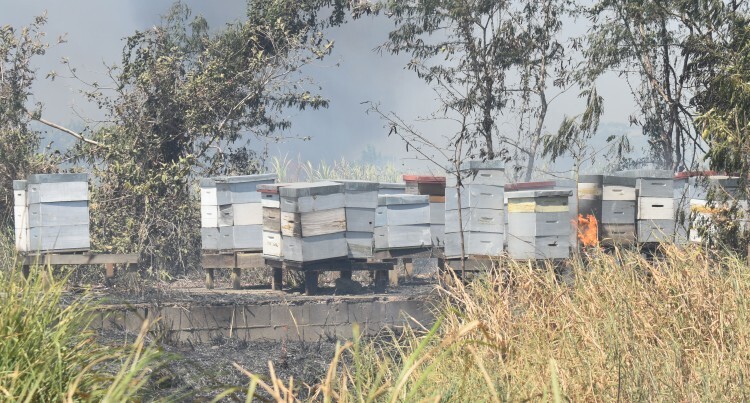 The fire from the cane field could not be controlled because of the dry spell and strong winds, which forced the fire to spread into the nearby areas. Police spokesperson Ana Naisoro said, “We have liaised with the authorities even though there was no official report lodged. The National Fire Authority trucks were present at the scene making sure that the homes were contained. However, nearby farms were not spared. These included sugarcane fields and honey bee nurseries. Energy Fiji Limited and Fiji Airport personnel were also on patrol making sure that the approach lights were safe. A team from Fiji Sun also came across a pole owned by TFL that was damaged and had fallen onto the road. A resident and farmer in the area, Gaytri Devi Singh, 69, raised her concern. Her nine acres of sugarcane farm including two acres of cane seedling were completely destroyed. She said, it was not the first time such an incident had happened. “It is very costly. A big loss for us as farmers. Lucky it did not burn our homes. I am a heart patient as well. This is a very scary incident,” Ms Singh said. Her neighbour’s farm, which had a four-acre sugarcane farm, was also destroyed.